Stunning cocktail ring with one big natural untreated ruby 11.21crt and diamonds: Description by Adin Antique Jewelry. Diamond(s): 18 brilliant cut diamonds with an estimated weight of ± 1.44ct. (colour and clarity: G/I, si/i). 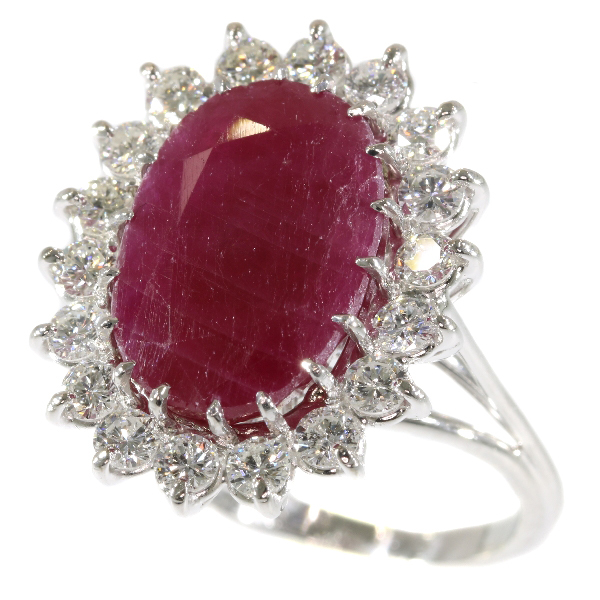 Precious stones: One natural ruby with a weight of 11.21ct.